This statistic gives information on the average number of connections per recruiter who uses Twitter for recruiting in 2013 and 2014, sorted by country. 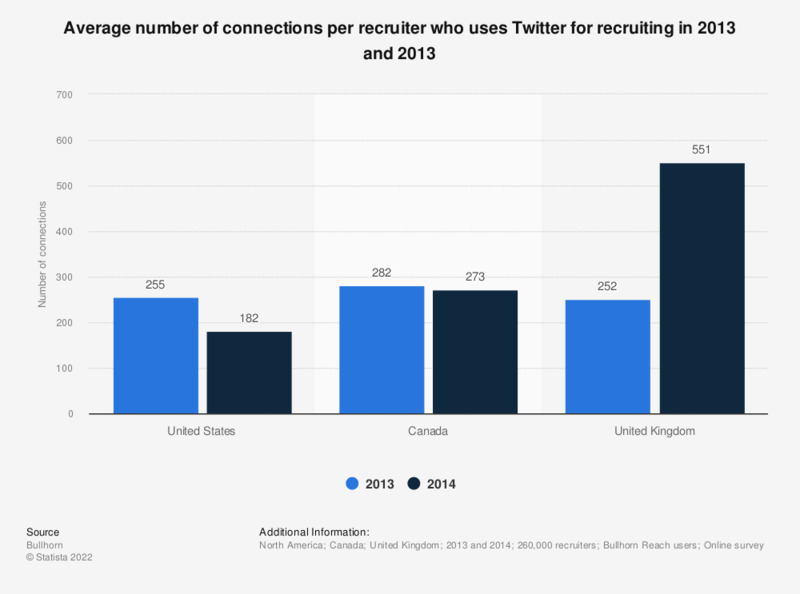 In 2014, U.S. recruiters had an average of 182 Twitter connections, down from 255 in 2013. The source does not provide an exact survey date.